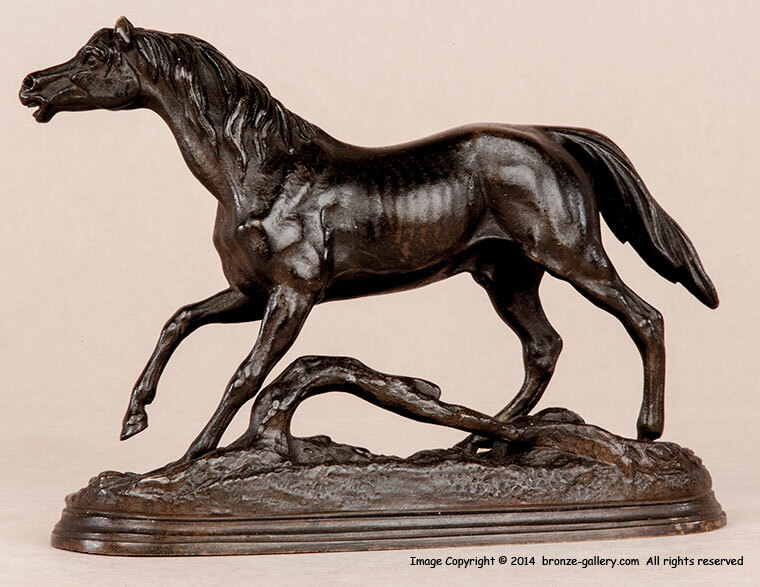 Jules Moigniez was best known for his birds and hunting dogs but this model of a Persian or Arabian Stallion is superb and rivals any of his best feathered subjects. The Persian Stallion was cast in three sizes, this is the smaller size. 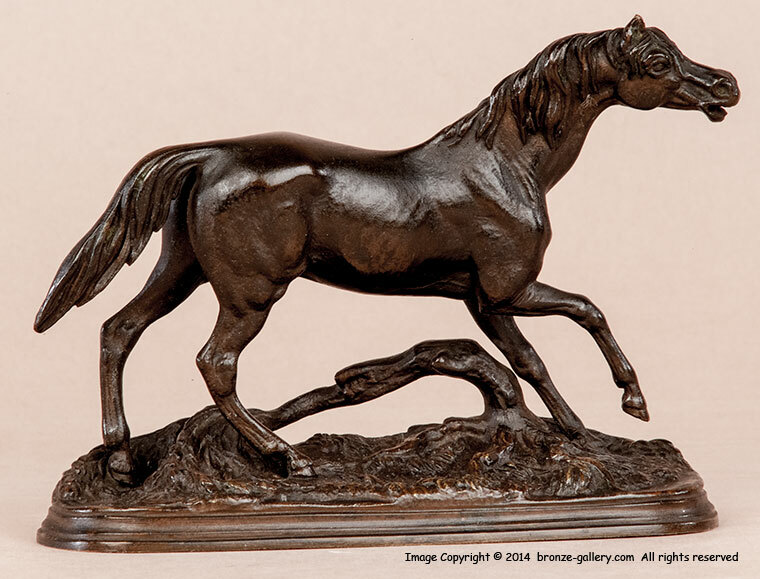 The Stallion is standing on a naturalistic base with foliage and a tree trunk, his foreleg is raised and his head is up with his mouth open as he neighs. It is a very fine early cast done in Moigniez's own foundry and has a rich dark brown patina.